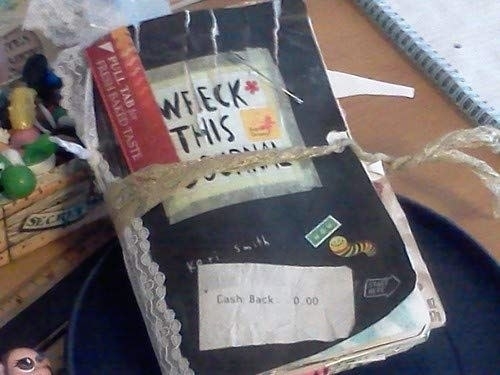 Move aside, other planners and diaries; Wreck This Journal is here to inspire you. Hi! This is the Wreck This Journal. It really wants you to destroy it! 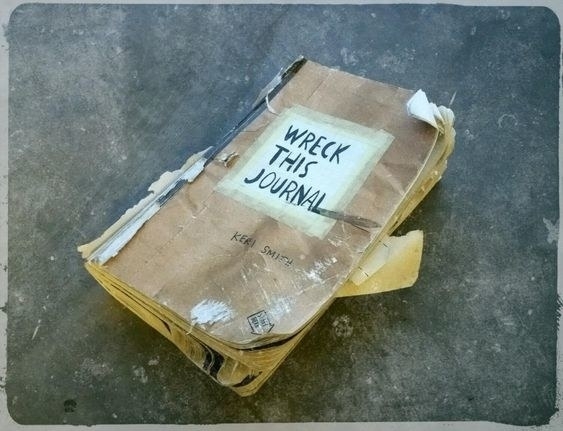 And by destroy it, I mean use each page in a totally unique way, lit'rally ~wrecking~ the journal in the process. If you want to spark your creativity and think out of the box, boy is this for you! If you're like "ok... but what does that even mean?!" I hear ya. Basically it's filled with tons and tons of prompts inspiring you to do stuff, whether that's using it as a drum, spilling coffee on it, or doing abstract things like "collecting Ws." What does that mean? IT'S UP TO YOU! Want some examples of what's inside? Here ya go! Here's a page that asked to be paintballed! "Glue a random page from a newpaper here" — this is what a Harry Potter fan made of that one. This one's great for inspiring some #showerthoughts. Here's a page someone used as the perfect way to kill time before the final season of Game of Thrones (or the even longer wait until Winds of Winter is released). It has some really stellar reviews too — almost 3,000 five-star ones alone. People who've tried this journal end up LOVING IT! It's great for all ages, from kids to teens to adults to grandparents, and the reviews prove it! Here are a couple ~WrEcKeD JoUrNaLs~ after they're completed — mission accomplished, I'd say! It's available with four different covers (each listed separately): black, red, duct tape, and paper bag. 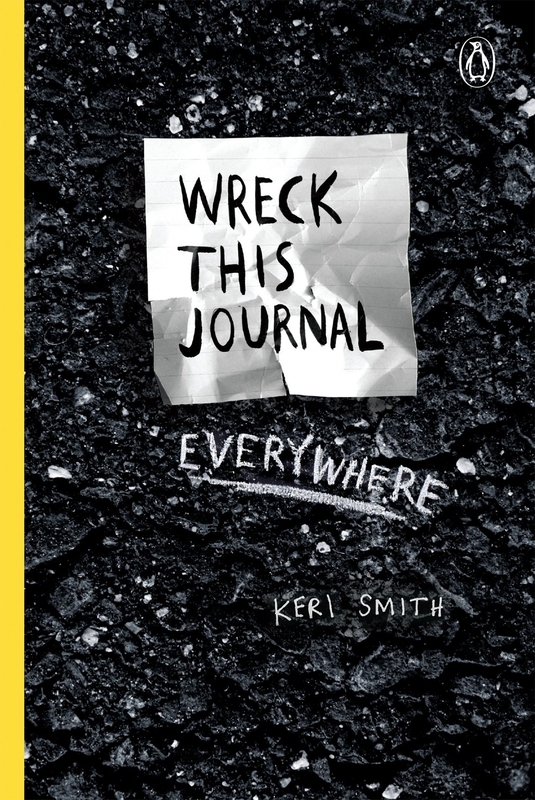 And if you've already tried (and loved) the original version, check out their follow up: Wreck This Journal Everywhere, which is filled with activities to get you exploring even more. 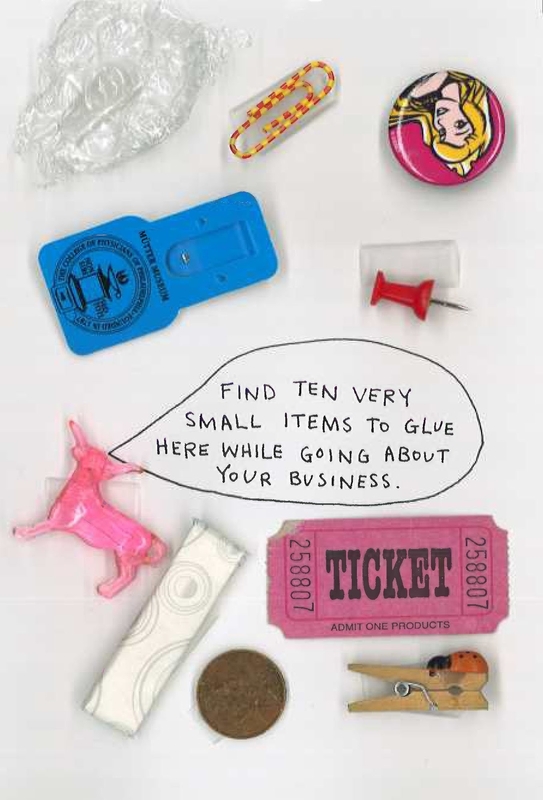 I never even realized I was creative until this book came around.